It was the summer of 1998. I was on a work trip to Rome, Italy with some colleagues at the human rights group I worked for a the time, the Coalition for the International Criminal Court. We were being treated to dinner by a local Italian human rights nonprofit. It was one of our first nights in Rome, and we were gearing up for a major human rights treaty conference happening there over July and August. It was a warm, humid summer evening, so we were eating al fresco on a long table in front of a restaurant on a quiet backstreet. Next door were the ruins of a temple to some Roman goddess (Fortuna, Pax, Juno?). My colleagues and I were full of excitement and nervousness about the conference and our role in it as organizers of the human rights community. Intense conversations were happening in Italian, French, Spanish and English, sometimes switching mid-sentence to a different language. Wine and sparkling water appeared, and soon afterwards our first course: fresh figs and thin-sliced prosciutto. I don’t know if I had ever had prosciutto before in my life, but it was certainly the first time I had ever had a fresh fig. 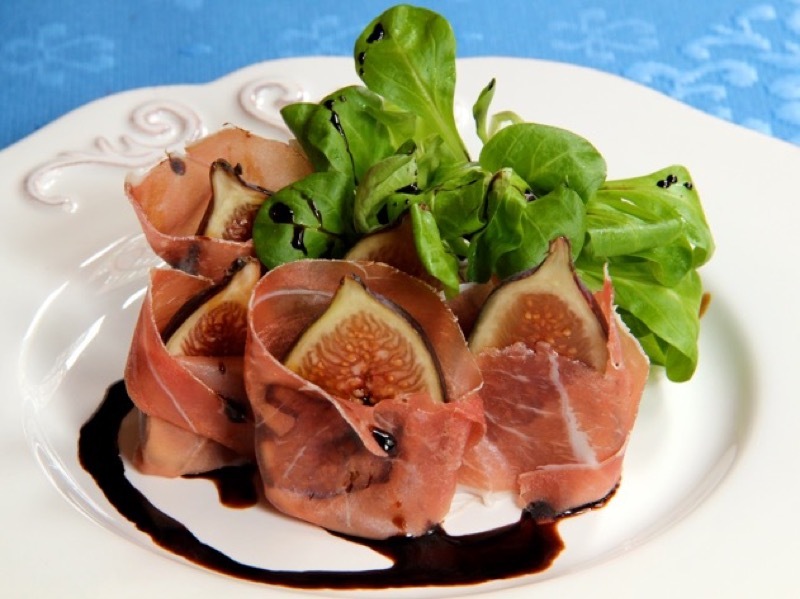 I still remember the dense, earthy sweetness of the fig, combined with the salty meatiness of the prosciutto. I had never had anything like it. It was a revelation. Everything came together for me, somehow, in that beautiful pairing of fruit and meat. Being a young American activist about to spend a summer in Rome fighting for a worthwhile cause, sitting amidst colleagues from around the world, on a quiet backstreet in Rome, near a temple to some ancient goddess (Aurora, Securitas, Trivia?). This was what my life had led up to, and I was so glad to get to experience it. And now many years later, I’m celebrating another blessed birthday, another improbable orbit of the sun. My birthday request to you is this: share with me a story of a time when you ate something meaningful in your life. It could be the first time you tried something. Or an extra special moment when you ate something. Please share it in the comments below, or message it to me if you want it to be anonymous. I look forward to reading all of your food stories!